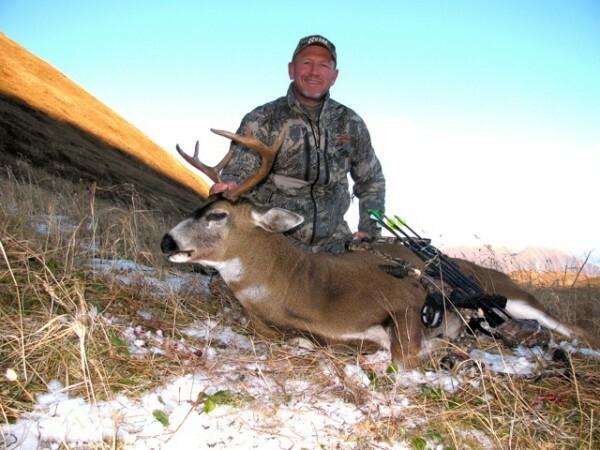 As my 2010 hunting year comes to a close, I know I have been blessed with many opportunities and more than my share of success. 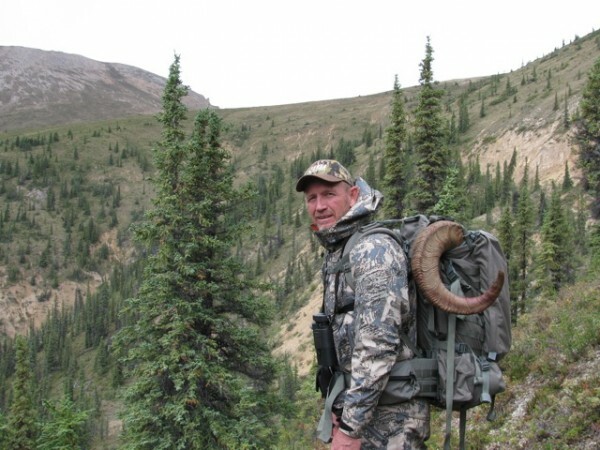 In visiting with Mark Seacat, he asked if I wanted to write a short blog about my hunts. I’m certainly not much of a writer but I have a lot of respect for Mark and the products that he represents so I’ll make a stab at it. I had several very memorable hunts this year but probably the highlight was my trip to the NWT to hunt with Ram Head Outfitters. 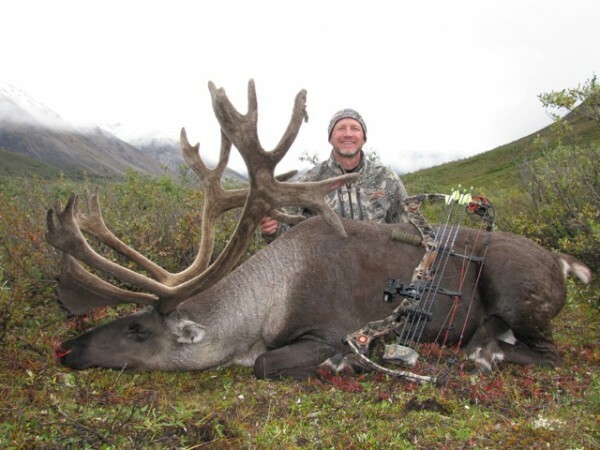 My goal was to take a sheep, caribou and moose with my bow. On the third day of the hunt while stalking a nice 140 class ram, we ran into a real monster of a ram. 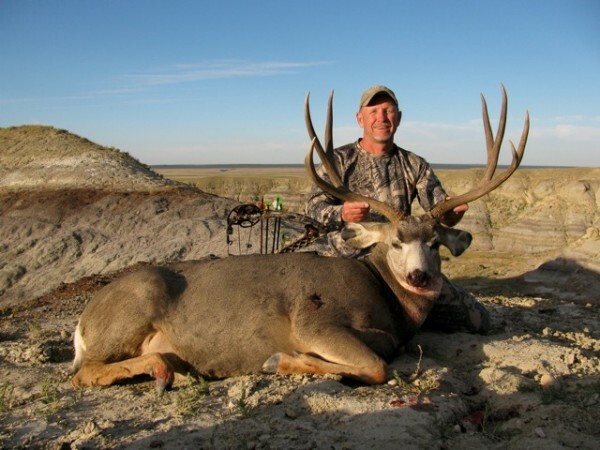 With the conditions not being the best for stalking into bow range, I made the decision to take the ram with the guide’s rifle at 265 yards. 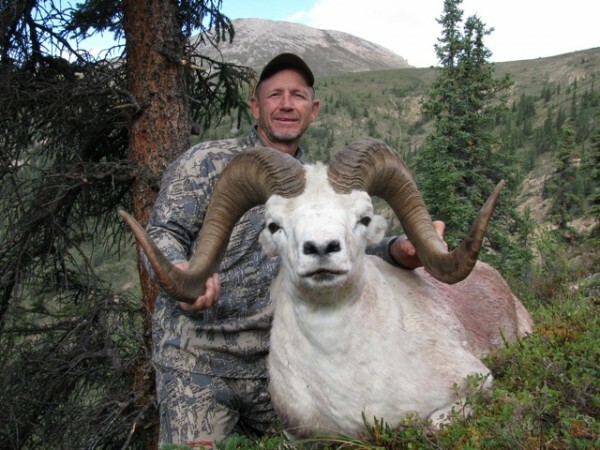 He was a beautiful 10 1/2 year old ram with horns that stretched the tape to 41″ in length and 14″ bases. After drying, he officially netted 167 5/8″ B&C. My Mystery Ranch 6500 really served me well for multiple uses. It actually compressed down nicely and I used it as a carry on bag on the airlines. We accessed our sheep area by boat and backpacked our camp up to approximately 4000 feet so the volume of the pack was necessary for the bulk. It also worked great for a day pack. Sometimes, I would take the top part off just to reduce the weight a bit. This also makes it easier to access the main compartment. And of course it worked pretty good for packing the meat, horns, antlers etc. We were able to get back to our spike camp early and spent the rest of the day relaxing and enjoying fresh sheep meat for dinner. 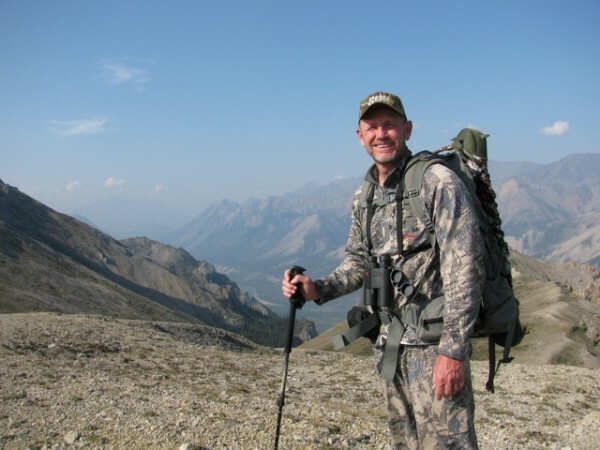 Mike Bridger was my guide for this sheep and caribou hunt to follow. After packing the sheep off the mountain and re-grouping at base camp, we relocated our spike camp to a new position to hunt mountain caribou. 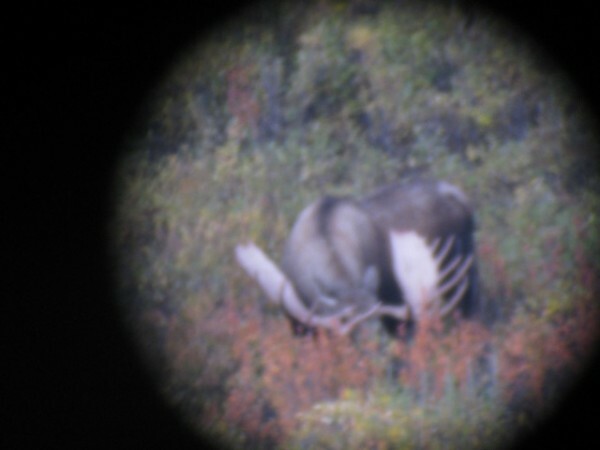 After three more days and 4 stalks, I was able to connect with a 40 yard shot on a respectable caribou (not to be confused with the toad that Seacat whacked a week or so before). Harvesting the sheep and caribou was great, but now I had the better part of a week until moose season opened on September 1. I made the best of that time by doing a little fishing and hiking… which I pretty much had to do to offset the massive amounts of grub I consumed while at base camp. 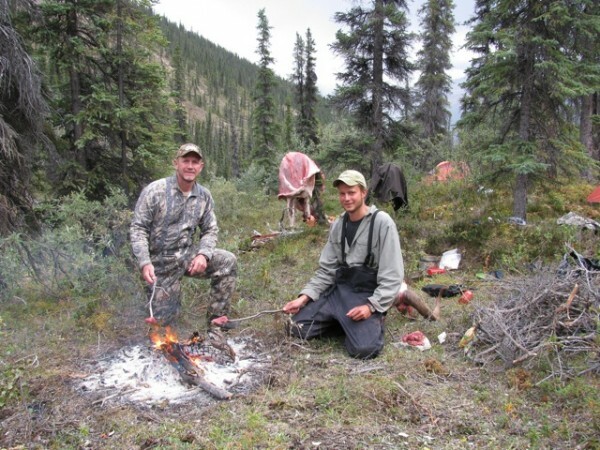 On August 29 we went to the camp where we would hunt moose. This gave us 2 1/2 days of scouting which proved to be very productive. I’ve been using Sitka Gear for a couple of years and absolutely love it but this was the first year I relied completely on Sitka rain gear. 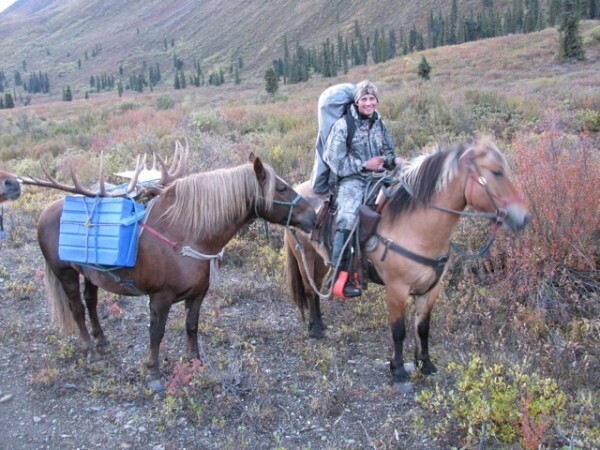 I was a little concerned if it would be durable enough for hunts like this and especially Kodiak… if it would keep me dry over the long haul. 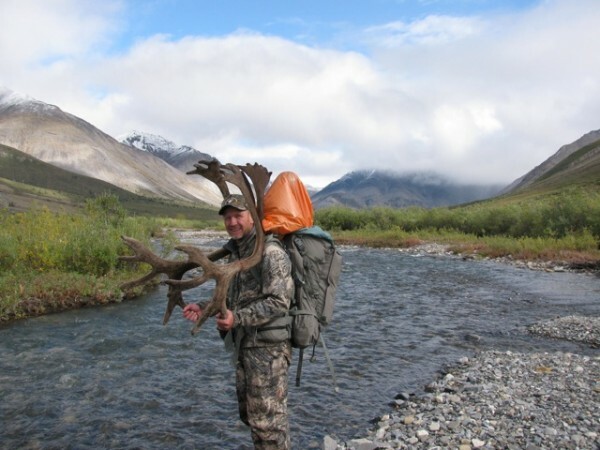 Those concerns were completely unfounded and my Sitka Stormfront system served me very well. We located the moose that I would ultimately stalk and kill on consecutive days before the season opened and then again on opening morning. 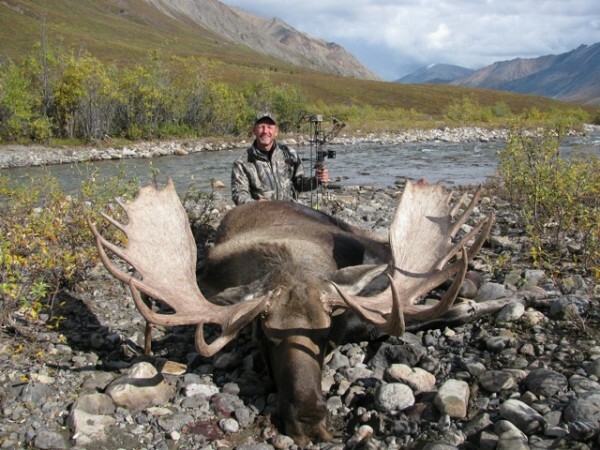 After one of the more exciting hunts I have ever experienced which lasted about 4 1/2 hours, I was standing over a gorgeous 62 inch Yukon Bull Moose on the edge of the Godlin River. 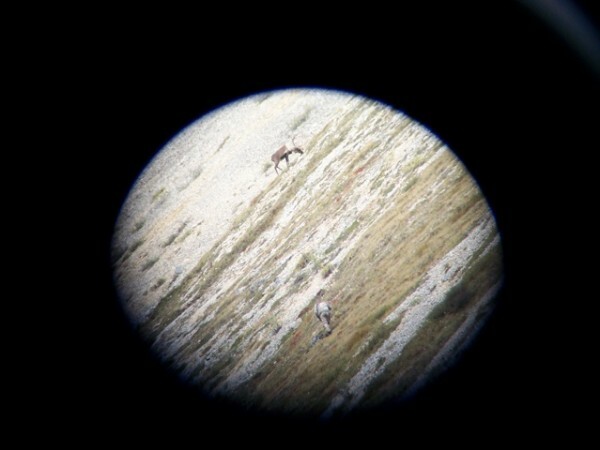 The good news for this pack out was that we were able to use horses. I like my Mystery Ranch 6500 but was happy not to load it up this time, but instead let the horses carry out the load. 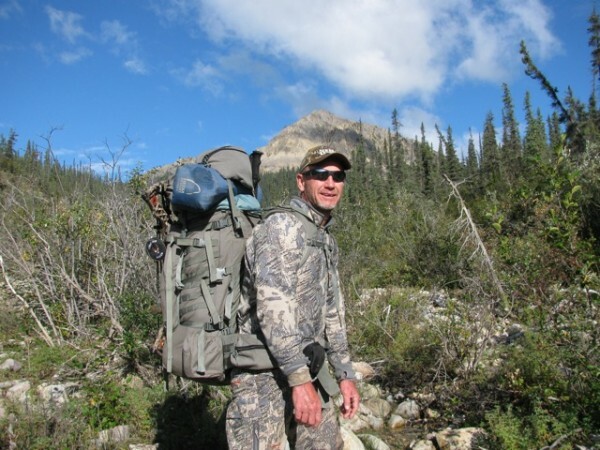 Scott Erickson was my guide for this moose hunt and he no doubt thought highly of Sitka rain gear as well. 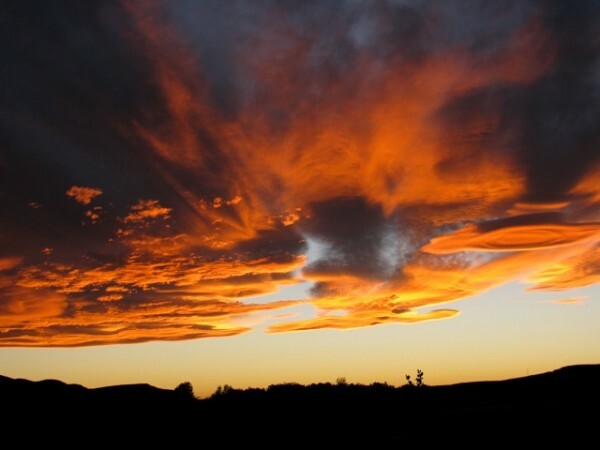 I’m a sucker for sunsets – here’s one from Alberta on a very windy evening. 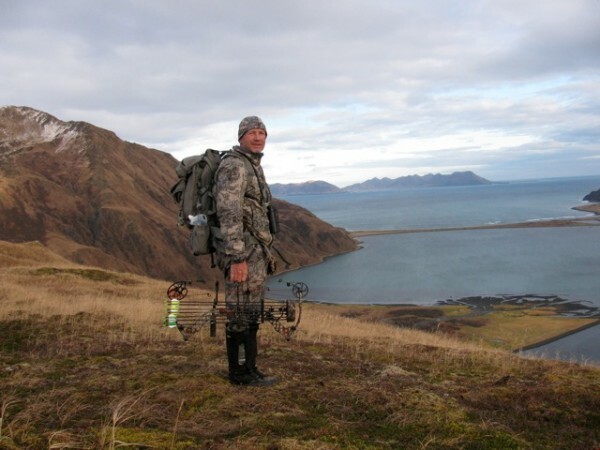 My next hunt was to Kodiak Island to hunt Sitka Blacktail. 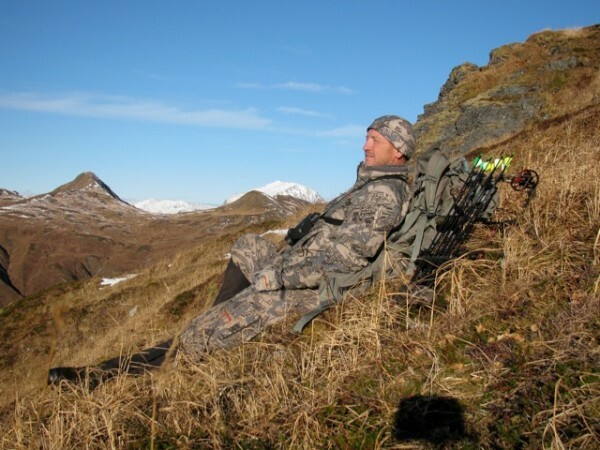 This was the fifth year that I have hunted Kodiak. It is one of the most fun, challenging and satisfying hunts that I have done. It is a DIY hunt that I did this year with Earl Chauvin. Earl is a good friend and hunting partner. We both took two nice deer each. 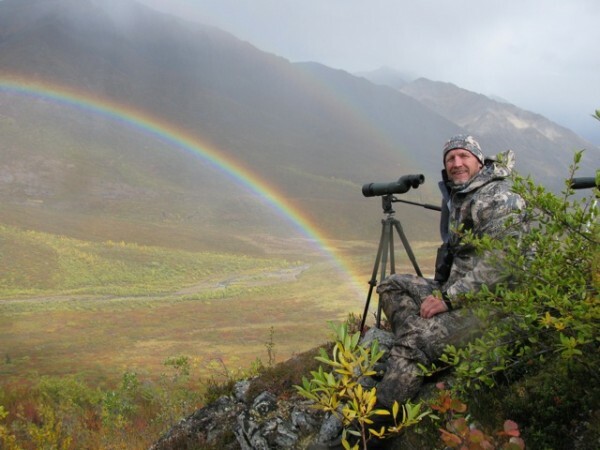 This hunt not only puts your body to the test but also the gear that you use wether it be optics, archery equipment, tents, backpacks or especially clothing. There is a lot of climbing involved so layering is a must. You’re cold, then you’re sweating by the time you get to the top, and then you get cold again. 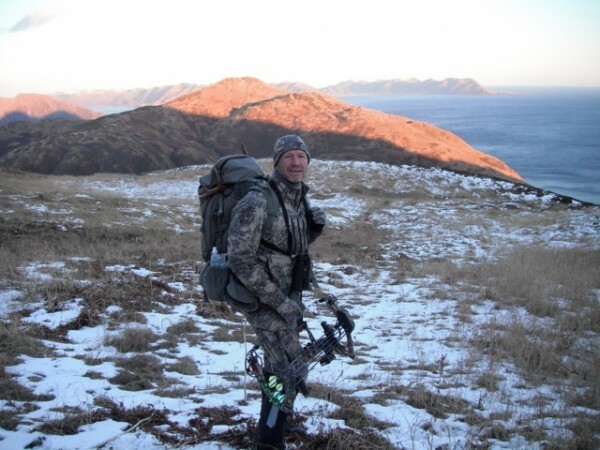 I utilized Sitka core layers, 90% jacket and pants and Stormfront rain gear and stayed very comfortable. 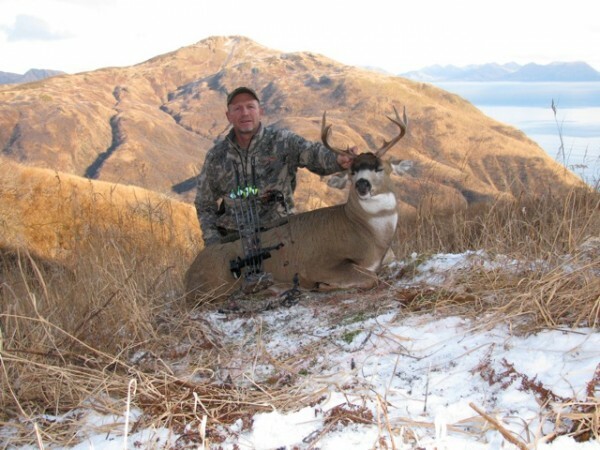 All their gear is durable and built for bowhunters – no baggy sleeves and nothing to bind or interfere with the bowstring. I packed my first deer out whole. I’m not sure, but I suspect that with the gear I already had, plus all the meat, cape, and head, the pack was well in excess of 100 pounds. I had a three hour pack out that went well into the night and although my old worn out knees struggled a bit, my Mystery Ranch 6500 was great. I took my second deer on the 7th day of the hunt in the same vicinity as the first. After a long stalk, I shot the buck at 87 yards (80 horizontal distance) and he went less than 30 yards. Earl hiked up and lightened my load by helping me pack this one back to camp. 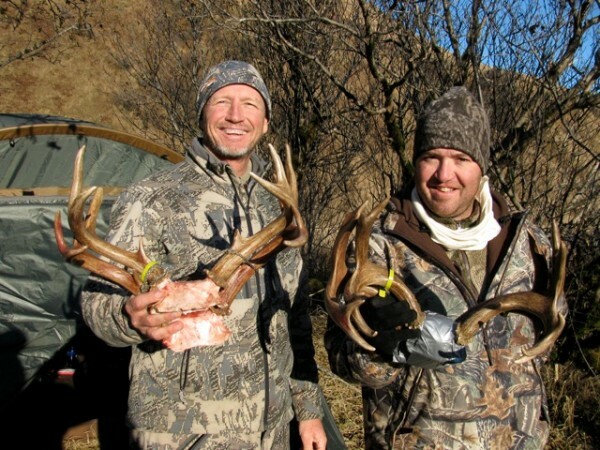 There were other hunts and harvests in 2010… these are just some of the highlights. To say the least… it was an unforgettable journey.